Multinational agricultural giant Monsanto is set to fight the Argentine government, after a resolution was passed stating that grain inspections can only be approved by the Agriculture Ministry, in response to protests by agricultural lobby groups. The controversial corporation has rejected a request by Argentina for more time to collect royalties on genetically modified soybean seeds from farmers, according to unnamed Monsanto staff members cited by Bloomberg News. Agricultural Minister Ricardo Buryaile and members of his staff have met with Monsanto representatives, including Chief Operation Officer Brett Begemann, to request a waiver on royalties owed to the corporation. 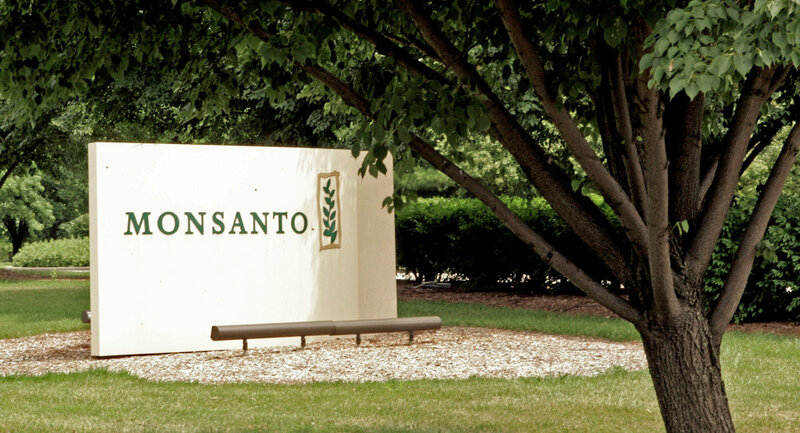 Monsanto rejected that waiver without comment, but agreed to cut the royalties from the equivalent of fifteen dollars per hectare to some nine dollars per hectare, for growers who use Monsanto technology but who do not purchase seeds directly from the corporation. Monsanto is claiming that Argentine farmers have benefited substantially from its proprietary Intacta brand, developed to counter insects and limit the need for additional pesticides. The corporation is demanding that farmers pay if they use Monsanto's copyrighted products. The corporation has been pressuring exporters such as Cargill, Bunge and others, to act in an inspection capacity, and conduct unwarranted analyses of cargo to determine whether farmers paid to grow Monsanto-branded genetically modified soybeans. For about a year, the corporation has demanded that shipping companies give notice when grains that contain the branded materials are slated for export, without corresponding documentation proving that royalties have been paid. Notoriously, Monsanto demands that royalties must paid, even when grains are produced from second generation seeds. Meanwhile, farmers claim that under local law, they must pay Monsanto only when they originally buy the seeds. Farmers have been calling for the government to intervene to prohibit Monsanto and other companies from exceeding their mandate and conducting unauthorized monitoring. "These methods were not only not authorized, but furthermore, we saw them as an abusive power for a company to be acting like the police," said president of The Argentine Rural Society (SRA) Luis Etchevehere. In an official bulletin on April 14th, Argentina's Agricultural Ministry stated that any inspection needs prior government authorization, without mentioning Monsanto or the dispute between the farming lobbies and the company. An official resolution was passed by the government on the next day.